SCOTTSDALE, Ariz. (July 13, 2017) – In honor of National Ice Cream Day on Sunday, July 16, 2017, Cold Stone Creamery® (www.ColdStoneCreamery.com) is celebrating with a special BOGO offer and its limited time summer flavor, Confetti Cupcake Ice Cream as well as the Party Like a Cupcake™ Creation™. Featuring Confetti Cupcake Ice Cream mixed with Kit Kat®, Rainbow Sprinkles, Yellow Cake and Cake Batter™ Frosting, the Party Like a Cupcake™ Creation™ is just one of many delicious options customers can enjoy to celebrate the special occasion. Adding to the fun, My Cold Stone Club™ members will receive an exclusive Buy One Get One Free offer (of equal or lesser value) on all flavors, Creations™, Shakes, Smoothies and Frappe’s for a limited time only. Offer expires July 23, 2017. The Confetti Cupcake Ice Cream and Party Like a Cupcake™ Creation™ are available at Cold Stone Creamery until Sept. 12, 2017. 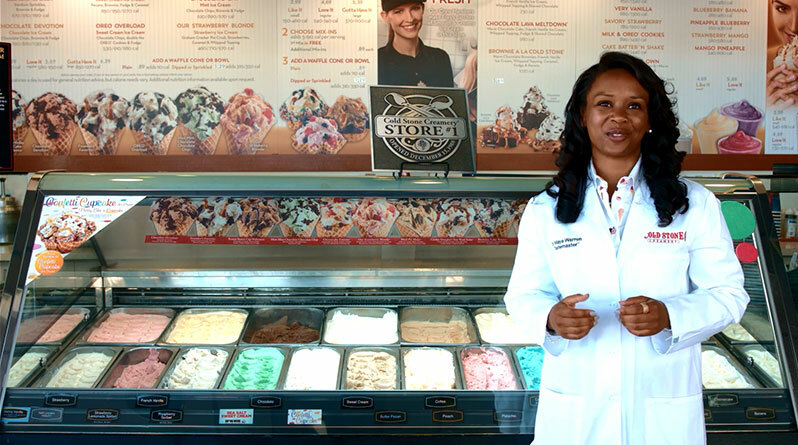 To become a My Cold Stone Club™ member and receive the special BOGO offer in honor of National Ice Cream Day, please visit https://www.coldstonecreamery.com/mycsc/ and sign up.